Twenty-two years later, my commitment to Christ is even more steadfast than when I first believed. God developed my faith through many seasons of joy and hardship, (and continues to refine me). And though I embraced the joy at twelve-years-old, I don't think I ever fully grasped the lifelong hardship involved in surrendering. The Christian life is meant to be hard. But despite hardship, Christ continually calls us to follow him. To sacrifice more to spend time with him. To wrestle with his Word even when we don't understand it all. To trust him when he tells us to wait. To step out and initiate gospel conversations. To put aside our agendas and love somebody. To give to someone who is in need. To love him even when things get hard. To follow him by fully surrendering our life to him. 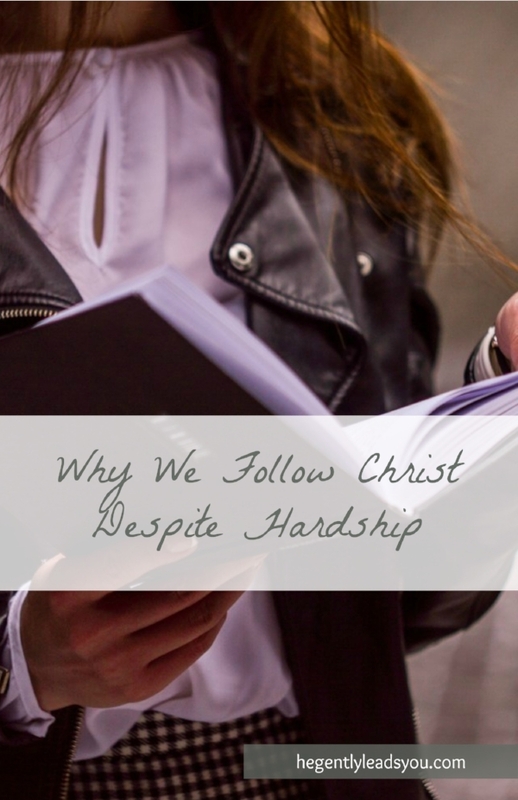 Yes, the Christian life is hard. I never knew the magnitude back when I was twelve. But I also never comprehended the magnitude of joy and peace in finding God amid my suffering. Discover more Biblical truths from the gospel of Matthew. Download the free Bible study in the Library of Downloads page. Download the free Bible Study in the Library of Downloads page. Click on the picture to go to the Library.